Combat your space problem with Jackstack plate racks. 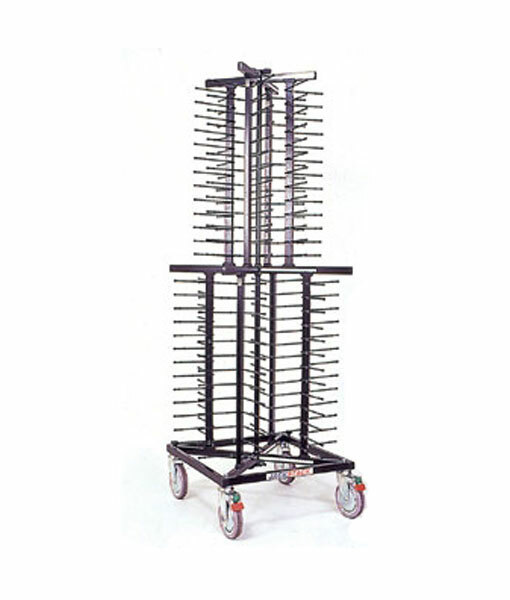 Easily move the vertical plate tower in a minimum time to storage, banquet or dishwashing area. 20% less labour, 25% less serving time, plus 30% more space. Mobile on 4 x 150mm wheels (two braked). Extra wide 82mm spacing between plate supports to allow room dishes to be covered. Dimensions : 1790 x 600 x 600mm. Material : Welded steel with black electrostatic powder coating finish.